Alan Robinson has kindly provided us with more information about the Classic Parade Laps to be held at the Ulster Grand Prix this year. Below is the list of entrans for the parade. 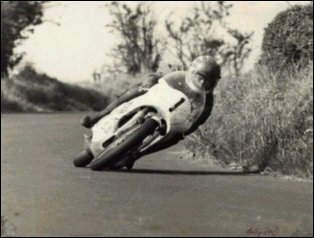 Most people will be looking out for mulit World Champion and local legend Ray McCullough lapping on the famous Dundrod circuit together again, years after their infamous duel, where McCullough scored his biggest ever racing success in terrible conditions.